Ambrose reveals the learning process of a great army: how to cross rivers, how to fight in snow or hedgerows, how to fight in cities, how to coordinate air and ground campaigns, how to fight in winter and on the defensive, how citizens become soldiers in the best army in the world. 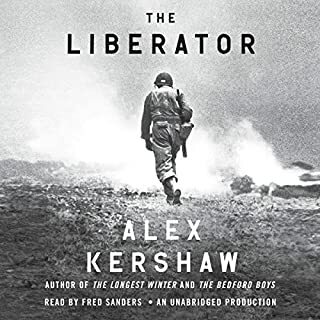 A masterful biography of the U.S. Army in the European Theater of Operations, Citizen Soldiers provides a compelling account of the extraordinary stories of ordinary men in their fight for democracy. 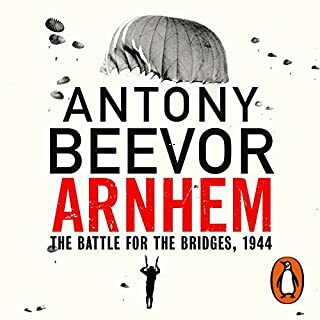 This book conveys the tragedy of war for all. As a combat vet of Iraq I feel that my tour was a walk in the park compared to WWII. 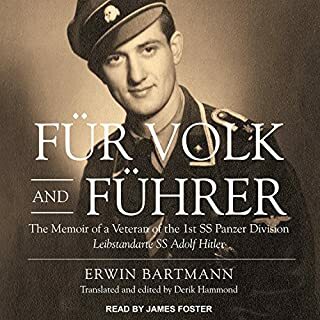 All citizens should read this book to help them understand the price that was paid to defeat the nazis. 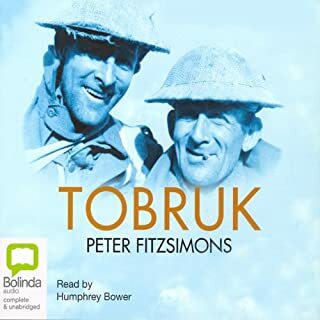 The narrator also does an excellent job, his various accents help the flow of the book and his delivery, tempo, and tone were perfect. Would you listen to Citizen Soldiers again? Why? This is a great telling of WWII from the soldiers perspective. I read it some years ago and hearing it again I learned some new things I had forgotten. Stephen Ambrose has a way of telling a story that bring the words of history to life. His story telling keeps the listener listening. It's like watching a movie in your head. I wish I could listen to this in one sitting. Listening to this makes me proud to be an American. Proud of our history and thankful of our past. Some may say our current generation couldn't do the same. Many have said the same of previous generations before. Gertrude Stein called the WWII generation, "The lost generation". I'm sure history will repeat itself if the current generation is ever called on to defend freedom on a massive scale. It will succeed and we will prevail. Ambrose is an excellent writer, and this book is no exception. 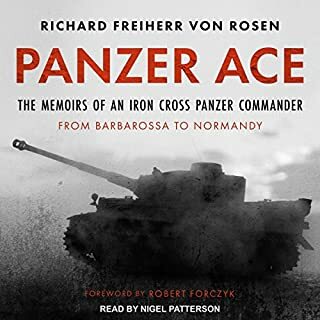 Thoroughly researched from both sides of the war in Europe, but unique in that the primary focus is from the perspective of the front-line troops. I found the interviews with the former German soldiers to be very insightful. It isn't often we hear reflections on WWII from those who were our enemies. 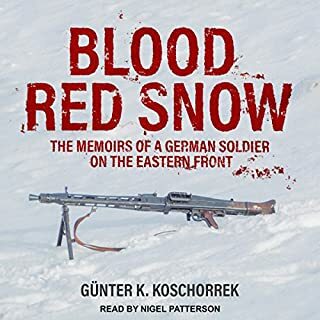 Some funny stories, some heartbreaking ones (how could we ever understand the hell that was the frontline in the winter of 1944?) and overall a very good listen. 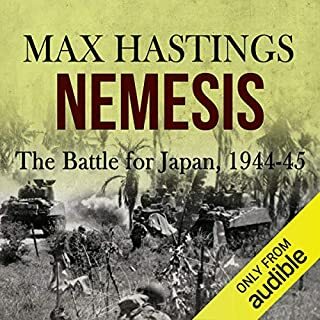 First, I only gave this book an overall rating of 4 Stars because, although so thorough and wonderful, it doesn't compare to Band of Brothers. I know it's not supposed to be like Band of Brothers, but I can't help but compare the two. As a paratrooper myself, I couldn't help but imagine myself sitting in the foxhole at the Battle of the Bulge with Easy Company. Citizen Soldiers also gets a mild criticism in regard to the paucity of mentions that many of the units he was talking about were National Guard. 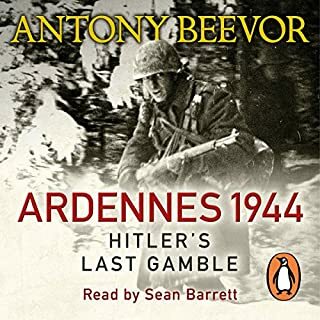 Ambrose addresses this in the afterword, but I picked this book up specifically looking for information about National Guard Soldiers during WWII. 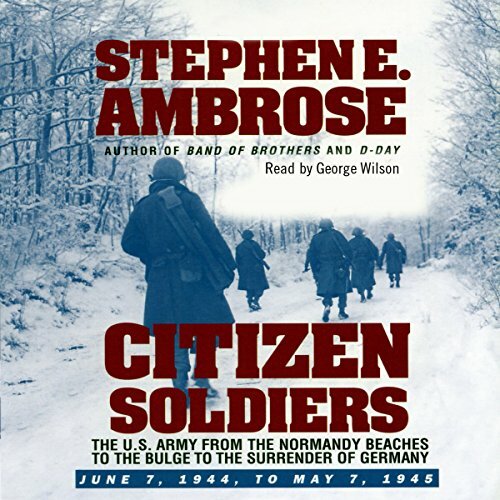 Part of the aforementioned shortcoming in comparison to CPT Winters' Soldiers is the fact that Citizen Soldiers doesn't follow one unit from their training through D-Day, the march toward Germany, and the end of the war. Therefore one isn't endeared to one group of Soldiers. Also because of the broad-stroke accounts of the book, it was apparent that Ambrose had to jump around on the timeline to accommodate some sort of association of topics (e.g., different unit perspectives, General Officer perspectives, German Officer/Soldier perspectives, medical/nurse perspectives, Veteran vs. replacement perspectives). This created a mild difficulty in keeping the current stage of the progress in mind during tangential narratives and biographies. Who am I to be critical of Ambrose, but these were some of my thoughts. I really enjoyed this book and look forward to listening to it again. 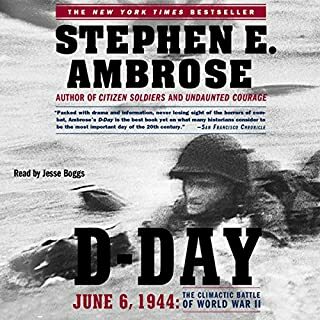 I really like Ambrose's assessments of US Army failures in the European Theater, specifically that of forcing replacements into Veteran and combat fatigued units; while anyone who served during WWII can be considered, 'The Greatest Generation,' it really seems that the few frontline Soldiers who survived D-Day through the end of combat operations really gave all and then were forced to give more and more and more. 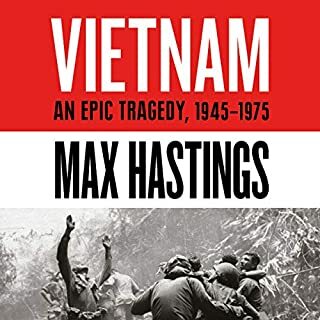 This is not a complete military history of the war or even of individual battles. It is however the history you would learn if fortunate enough to sit among them and let them tell their stories. It covers almost everything and every type of soldier and event in the war in the ETO. The performance Mr Wilson makes it even better. 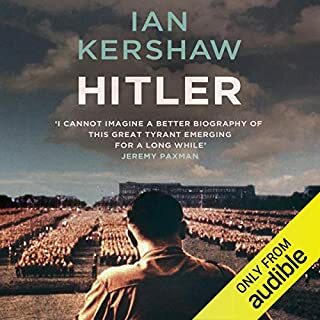 Having been an audible member for some time a poor performance can make a great book difficult to listen to and a difficult book better. 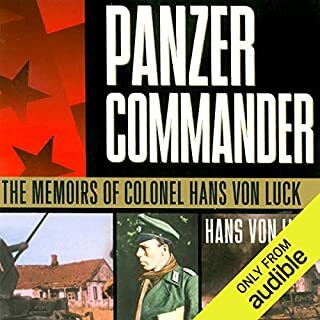 Every once in a while you are fortunate enough to have both a great book and narrator. This is what you have here. Perhaps it was my dads love of history or his respect for those who fought in WW2-( he served during Korea) but I have always held that the WW2 soldier was unique-was if fact part of that " greatest generation". Here Stephen Ambrose's book reinforces that belief. So though it may be 70+ years later, Thank You to all who served. Yes, especially if they had an interest in WW II. His voice varied enough to make the soldiers being discussed or 'talking/telling their story' stand apart. Well worth the listen. 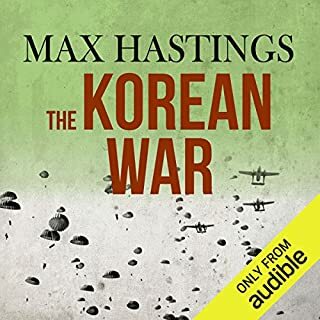 Although I suspect each listener will come away with specific remembered parts, overall the gritty nature of war and the struggles faced by soldiers on both sides is well portrayed. This is the second book from Mr. Ambrose that I have read and it was as good as the first. 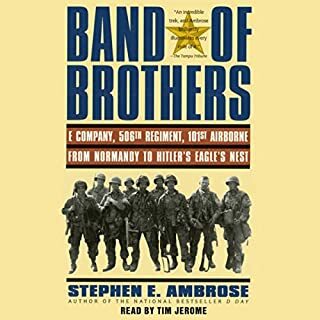 I read Band of Brothers after watching the HBO mini-series and enjoyed it. Citizen Soldiers is another excellent read. It covers everything in the ETO from Normandy to Berlin. You'll learn things about the major players that you may not have known. I was drawn in from the start and it kept me interested to the end. It is heartbreaking to know how many men's lives were wasted through poor planning and execution of orders that were unnecessary. And how one generals decision cost the men countless unnecessary cases of frostbite and trench foot through lack of proper equipment. If you enjoyed Band of Brothers you will also enjoy Citizen Soldiers. 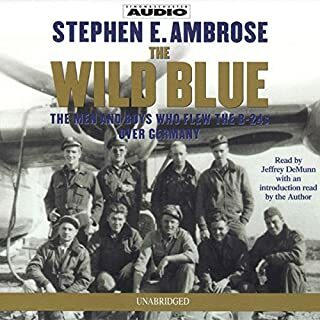 I just purchased Wild Blue by Mr. Ambrose and I expect it will be as good as this book. Sad, Heartbreaking, and Triumphant. The story of so many who gave all and did not return and those that did. As Ambrose said these were the Citizen Soldiers who starved, froze and in the end triumphed often in spite of leadership not worthy of them. I will read this one again. Mr. Ambrose has done a fine job of culling the facts and critically assessing performance that cuts through the propaganda contained in most historical accounts and text of this cataclysmic world event. Stephen E Ambrose is a figure of some envy within the community of WW2 historians. He somehow cracked the market open and his Band of Brothers became that golden HBO TV hit. I've heard some try to undermine him by discrediting his academic prowess. I have to say that doesn't disconcert me at all. 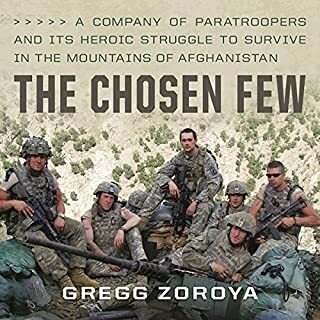 He is a fine writer, his work is accessible and his perspective on human experience in combat is insightful and empathetic. I like how Ambrose looks at soldiers as people first and foremost. The solidiers and individuals, with characteristics and as much as he can he will tease out the humanity within the uniform. This is a great book. It gives you enough to understand the nasty side of war, without detracting one iota from the heroism. The futility is there too - this account doesn't embellish armed conflict, but it doesn't saturate the reader with morality tales either. There is a genuine critical perspective - and Ambrose is not partisan - he respects both the axis and the allies as soldiers quite equally and pulls no punches in pointing out the strengths and weakeness on both sides. His criticism of both Montgomery and Patton is welcome and refreshing. He is in neither tent and can see that even in WW2, the media image outstripped the abilities of both men. Some of the tales will make you shake your head. 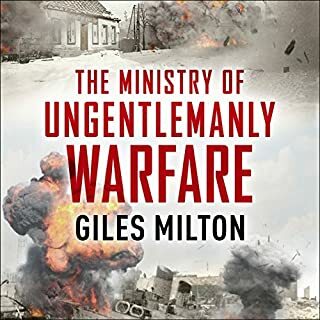 From the small intimate stories that happened between one of two soldiers in a skirmish or a patrol, to the stories of entire battles that have since been apparently forgotten or sanitised for the sake of post-war recollection. And by the way Ambrose doesn't mind digging out the controversy and giving you some insight in those situations either. I also rate the narration very highly - which is incredibly important for me. 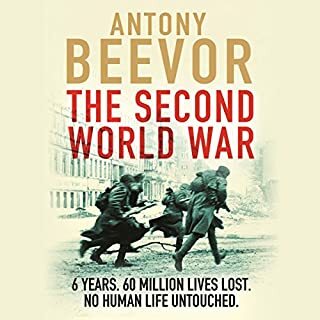 I've gone through a few books lately about war, I love it when someone knows what they're talkin' about, I'd recommend this book to anyone with an interest in war and warrior's narratives.